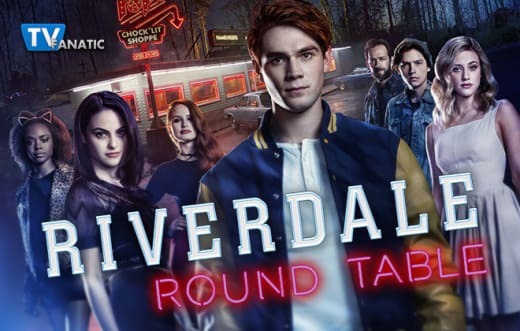 Riverdale Round Table: Were You Satisfied With Season 2? 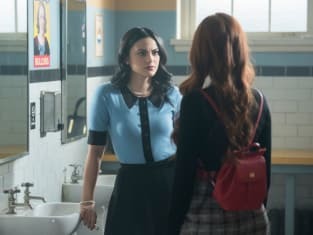 Cheryl filed for emancipation against Penelope, Jughead survived his attack from the Ghoulies, and Betty said farewell to her father forever on Riverdale Season 2 Episode 22. Below, TV Fanatics Paul Dailly, Jack Ori, and Justin Carreiro debate Veronica's big sacrifice, Archie being framed for murder, and their overall thoughts on Riverdale Season 2. 1. Hermione won the town election and Archie won the student council election. Were these the results you expected to happen? Paul: Yes, there wouldn't have been much drama heading into Riverdale Season 3 if Fred won, would there? As for Archie, it was predictable. Jack: I agree with Paul about Archie. Anyone who would have been actual competition dropped out. I think Fred winning would have been more interesting, leaving us with a cliffhanger of what Hiram and Hermione are going to do to destroy him, but it wasn't very surprising that he lost. 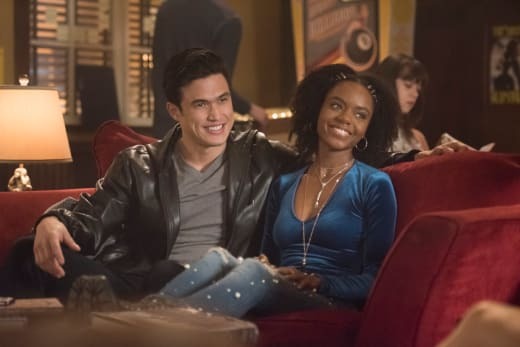 Justin: I'm not surprised that Hermione won the election; her winning would help push Hiram's plot in Riverdale Season 3. Archie winning, on the other hand, was a bit surprising. When Ethel was shown as the underdog candidate, I thought she would come from behind to take the win. 2. The final Black Hood was revealed to be Tall Boy in disguise; he was hired by Hiram and killed to keep his mouth shut. Were you satisfied with this conclusion? Paul: There was a theory online about Tall Boy before the episode aired, and it made sense. I was satisfied because it was typical of Hiram to pull this shtick. Jack: At the end of Riverdale Season 1 when The Black Hood attacked Fred, I figured Hiram was behind it. So, I'm not surprised he would hire Tall Boy as Black Hood #2 and then kill him. He had to be involved somehow, so this was satisfying enough (though, I still wish that Tall Boy had been the ONLY Black Hood instead of the way-too-obvious Hal). Justin: Like the others, I wasn't surprised that Hiram was involved in hiring someone to pretend to be The Black Hood. On the other hand, since Tall Boy had been MIA for so many weeks at this point when the truth was revealed to be him, I wasn't blown away. This was an out of sight, out of mind situation. I completely forgot the character even existed. 3. Veronica sacrificed everything to stand up to her father and get the deed to the diner. Do you think he will respect her wishes regarding the Chock'lit Shoppe? Paul: He will respect it, yes, but that's not to say he won't make it his mission to derail her plan. He's wicked. Jack: For now he will, but I don't doubt that he will double cross her when he can get away with it. Hiram has no reason to have any loyalty to Veronica whatsoever now that she's broken ties with him, so when it suits him he will do what he wants, probably in some dramatic fashion that messes things up for her and everyone else. Justin: Absolutely not. He will take any chance to do illegal dealings at the diner so that Veronica will be implicated and he can blackmail her. 4. Hiram assembled a secret group of villains to take over the town of Riverdale. Which villain do you think the group should be afraid of the most? Paul: Hiram. He's not scared to show his true villainous ways to the masses, and he has the worst track record out of the bunch. Jack: I agree. Hiram is one scary and seemingly untouchable guy. Justin: I think Penny could be the most dangerous one. 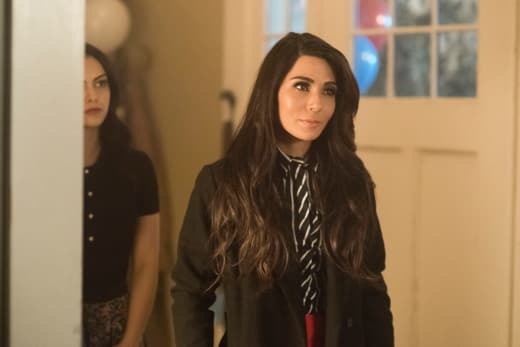 Hiram has some loyalties to Hermione and Veronica, so he has a weakness. Penny, on the other hand, will do whatever it takes to get whatever she wants. She could burn the entire town to the ground to win in the end, if she needed to. 5. Archie was framed for murder by Hiram Lodge. React! Paul: Meh. It's not like he's going to go to jail for any length of time, so it was a bit of a cheap tactic to keep viewers intrigued. Jack: Yeah, this wasn't a compelling cliffhanger. Archie deserves to go to jail for a little bit for being such an idiot (even though technically that's not a crime), but I'm sure he will get out of this near the beginning of Riverdale Season 3. Justin: I found this twist to be underwhelming. Even if they pin the murder on him, he'll most likely get off on a self-defense charge. There were so many other potential ideas that Riverdale could've done to keep us on the edge; this twist wasn't the best. 6. Now that Riverdale is on summer hiatus, share your thoughts about Riverdale Season 2. Paul: I was so close to giving up on the show this season. The storylines were all over the place, and I dare say that's down to the episode order. Then again, a lot of characters were given very little to do. This is an ensemble. The plots don't have to revolve around the same characters every week. There's no way the episode order is going to be reduced, so I hope the powers that be manage to find a way to help tell a story for more than the usual characters. 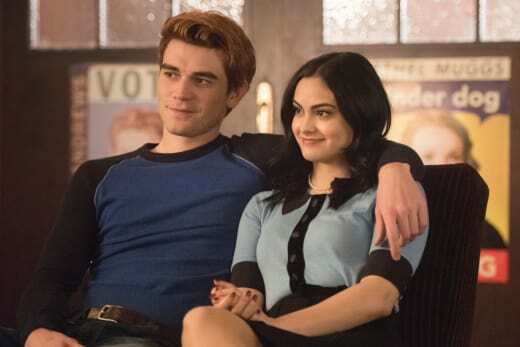 Jack: I don't know if it's the large episode order or just the content, but I wasn't nearly as excited about this season as Riverdale Season 1. I felt there was way too much darkness and violence. That's always been a part of the show, but in Riverdale Season 1 the teens did normal teen stuff too. Riverdale Season 2 seemed like it was just over-the-top violent, more so every week, and I began to lose interest. 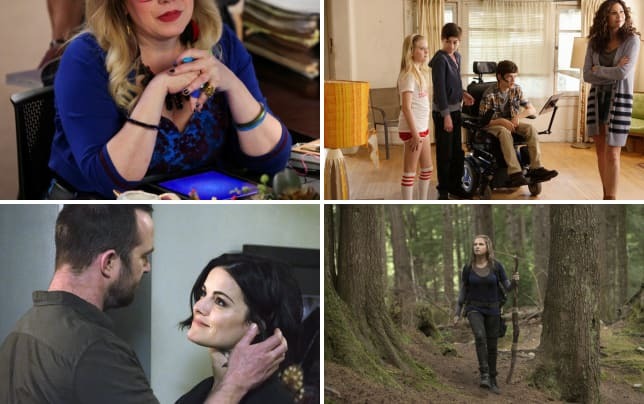 Related: 19 Beloved Series That Fell Into a Slump! Justin: Riverdale Season 2 was a mess from an overall cohesive standpoint. Even though I liked a lot of the episodes and the development of certain characters, the storyline progression was chaotic and dragged on for far too long. In particular, The Black Hood plot should've ended by midseason so that we could focus on a new mystery. For many of the characters, they were either ignored or spiraled into low territories. It's no secret that Archie's path took a seriously bad turn for the worse. And characters like Josie and Kevin barely got any focus. 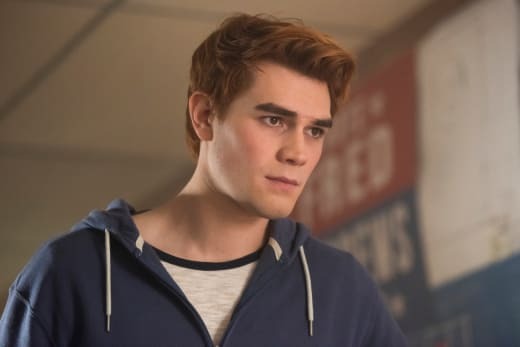 To make matters worse, the tone of Riverdale veered from what we loved in Riverdale Season 1 to something along the lines of Greg Berlanti's typical superhero fare, like Arrow or The Flash. Don't get me wrong, I love those superhero shows on The CW! But, there's a reason why Riverdale hooked us in the first place, and it wasn't this dark environment/fighting comic book villains type of theme. Jughead: What did I miss? FP: What you did brought ever Seprent I’ve ever known out of the woodwork. You would’ve been proud of them, boy. It looked like we were gonna win the day, but in the end, there were just too many Ghoulies. It ewas like shooting snakes in a barrel. Jughead: Why? Why did you go? FP: I wanted to avenge you. Jughead: I had an agreement with Hiram Lodge. FP: There was no stopping the others. They were churned up about you and Fangs, even though Fangs is ... alive. Veronica: Daddykins, care to comment on the rumors that you’ve been having meetings with Claudius and Penelope Blossom in their barn? Hiram: Certainly. I’m looking to diversity Lodge Industries holdings by possibly getting into the maple trade. Veronica: So, it’s not that you enlisted Claudius to impersonate The Black Hood and take pot shots at Mom during the town hall debate? Hermione: Veronica, have you lost your mind?! Hiram: Your imagination is getting the better of you. Permalink: Veronica, have you lost your mind? !